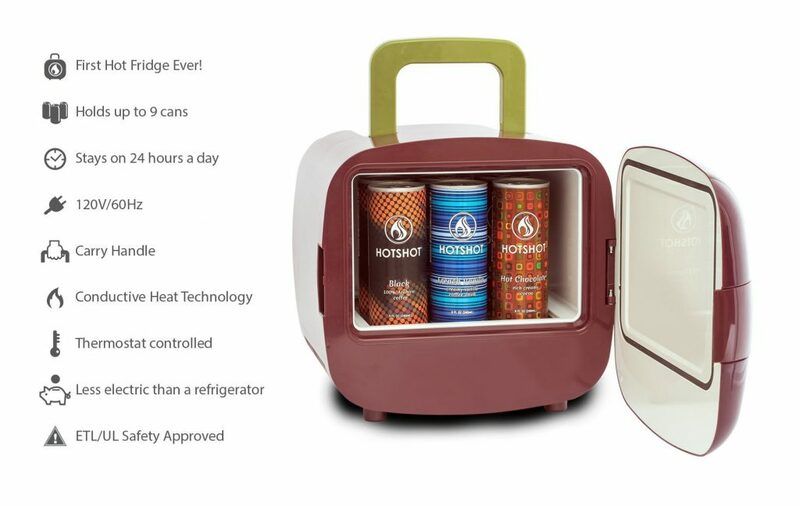 Hotbox is the very first “Hot Fridge” ever! Hotbox is our custom heating and storage unit for all Hotshot beverages. The HotBox uses innovative patented heating technology to keep HotShot at the ideal temperature while being energy efficient. The cans are stored day and night at 140 degrees which is the perfect temperature to drink premium coffee. 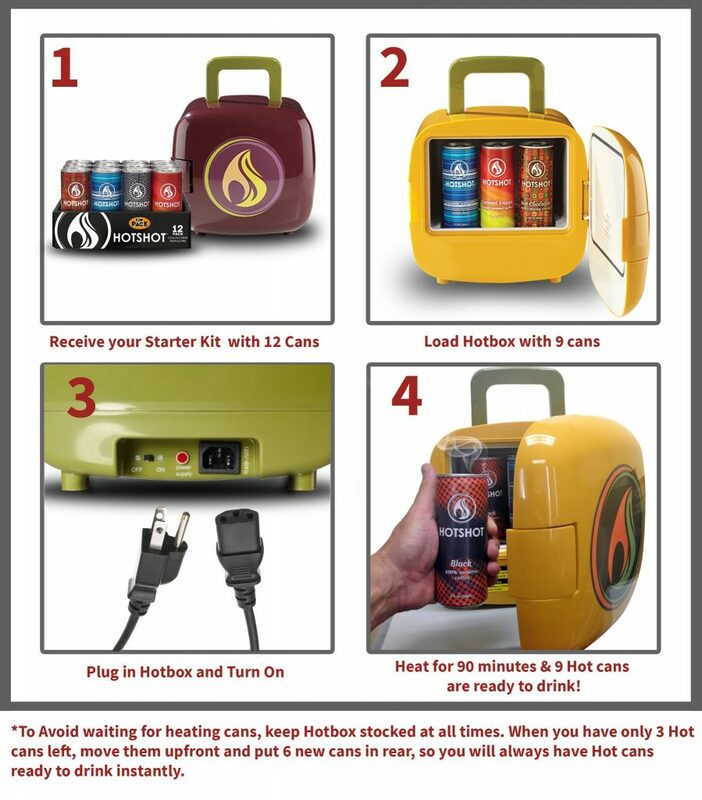 It’s simple, just load up your Hotbox with Hotshot cans, turn it on & HOT Canned Coffee will be ready to drink in no time! Important: This machine is intended for use with HotShot Beverages only! Do not place any other products inside the machine. 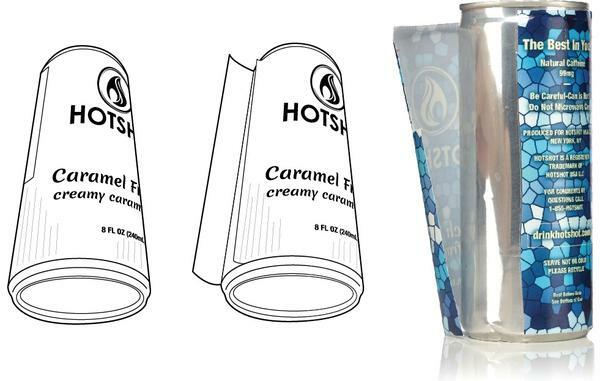 HotShot beverages are specially designed to withstand the heating & hot storage process. With the conductive heating technology, the HotBox only applies heat to each can, so no power is wasted trying to keep the entire environment heated. In order to keep HotShot at the perfect drinking temperature without burning your hands, we've developed a revolutionary insulated label. Not unlike a drink cozy, the simple material keeps your coffee hot and your hands cool.